Epidermolysis bullosa (EB) consists of few mechanobullous diseases of the skin and the mucous membranes, which clinically present with blisters, erosions, scarring and milia formation at the sites of minor trauma. Hereditary forms of EB are observed at birth or early childhood and are related to genetic defects leading to absence or insufficient expression of certain antigen determinants in the region of the basement membrane zone (BMZ). In contrast, the acquired forms of EB appear in adults and the development of the disease is related to autoimmunity towards the same antigen structures. This book examines the prevalence, clinical manifestations and management of EB. 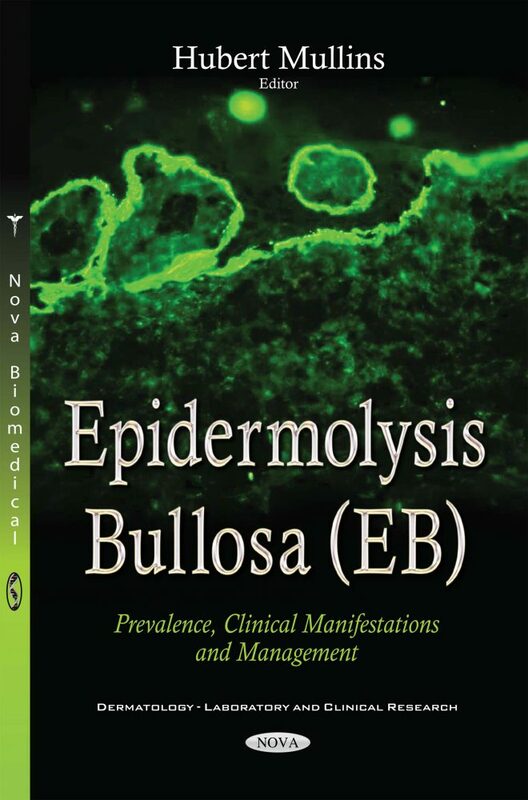 The first chapter of the book examines epidermolysis bullosa acquisita. Chapter two studies immunofluorescence mapping for the diagnosis of inherited EB. Chapter three discusses nutrition for children and adolescents with EB. Chapter four provides an overview of wound healing and skin care in inherited EB. The final chapter reviews the main therapies currently under development for recessive dystrophic epidermolysis bullosa (RDEB) and focuses on recent advances in approaches combining gene therapy and tissue engineering for treating RDEB.